Got this beast in yesterday. 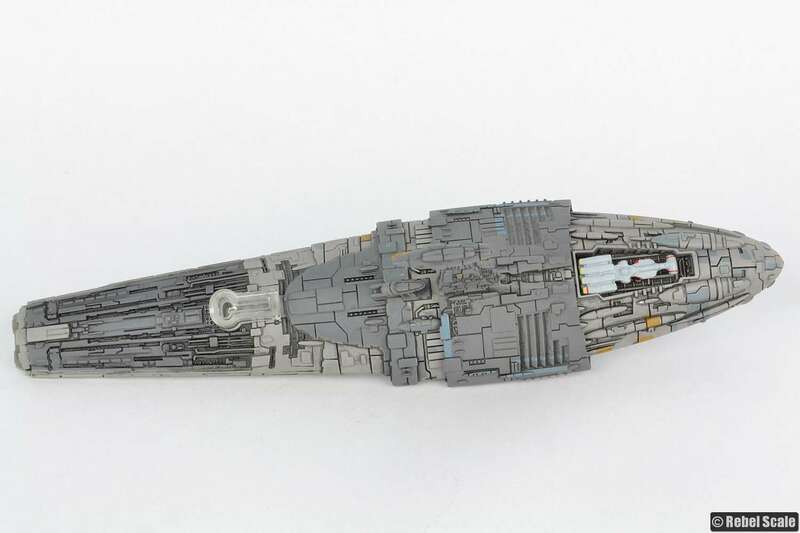 It’s Admiral Raddus’ flagship, the MC75 Profundity, from the Fantasy Flight Armada line, and it is gorgeous. The detail is superb, and I love the layered details and panels. You can see the usual mustard tan panels, as well as a few light greyish-blue areas. There’s also a single olive green panel on top. The Fantasy Flight team really outdid themselves with this one. Sadly, the stand is wobbly, tending to dip forward. Eventually, I’ll replace the stand, probably with an Action Fleet stand like I’ve done with several Armada ships. On a side note, the Tantive IV from the Hallmark Imperial Star Destroyer ornament is nearly in scale. Check it out docked to the Profundity‘s bow. 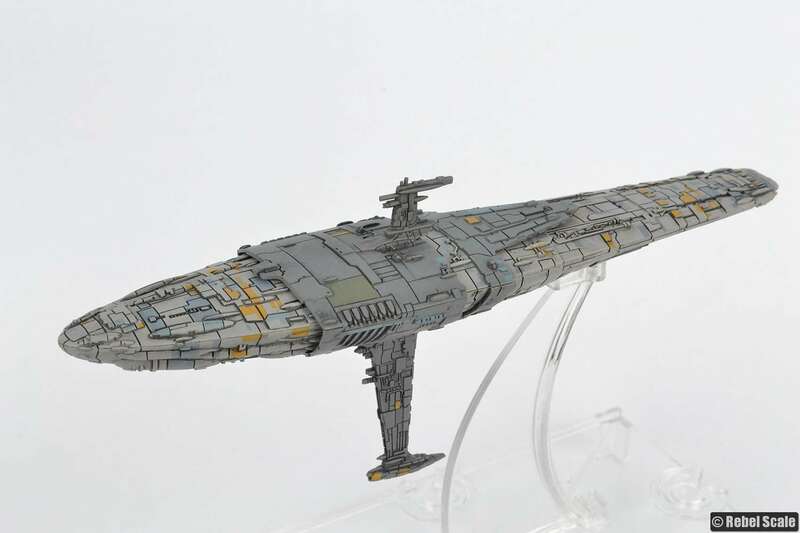 Posted in Star Wars miniatures, Star Wars scales and tagged armada, fantasy flight, mc75 profundity, Star Wars.